Any questions, or you would like more details on any of the projects give us a call on 0800 COLD MILK (2653 6455). 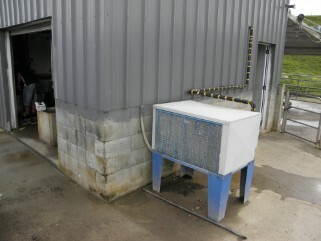 Sr650 condensing unit sold on behalf by us connected to a 7800 litre vat. Unit has had a hot water heat recovery installed and supplies 45-50+’c water to the cylinders whilst running. 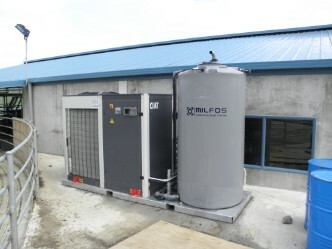 Refrigeration controlled by a Cold Milk Products dairy vat controller. This controller allows the operation to switch the refrigeration on at the start of milking and then is able to go and milk. 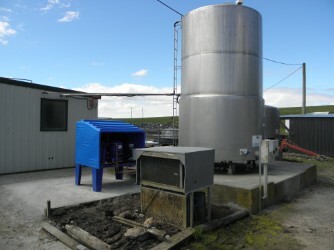 Hgz 100 condensing unit connected to a 11500 litre vat. 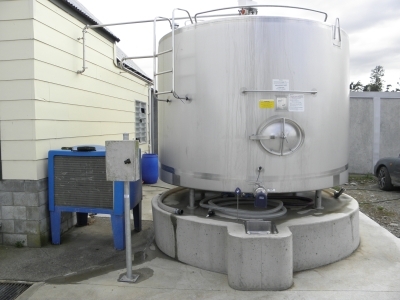 Includes hot water heat recovery allowing 45-50+’c water feed to the cylinders. Also installed from old shed the original condensing unit connected to the colostrums vat. 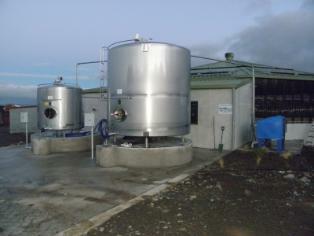 Controlled by two Cold Milk Products dairy vat control units. Refrigeration upgrade from a 5hp unit to a HGZ100 (21Kw) cooling capacity. The existing model was unable to cope with the increase in production. iConverter installation milking 350 cows. 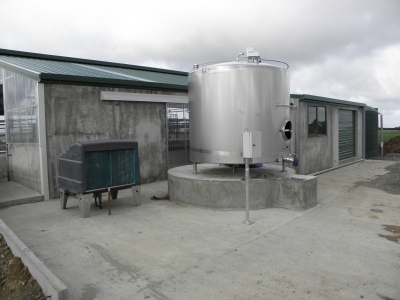 The unit produces 4’c milk into the vat and 80’c hot water. A Refrigeration upgrade from an existing 3 and 4 horse power units (which have seen better days), attached to the base and side wall of a 16000ltr tall vat. 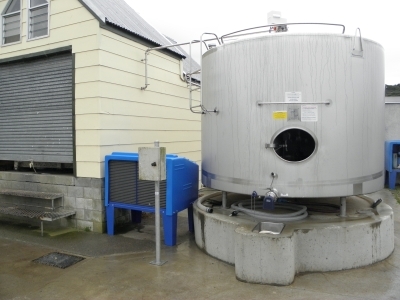 An HGZ125 10hp (25Kw cooling capacity) was installed, attached to both the bottom and side of the vat achieving 7’c milk within three hours from the end of milking. Refrigeration upgrade to a HGZ80 (15Kw cooling capacity) from an existing earlier model unit installed over 15 years ago. 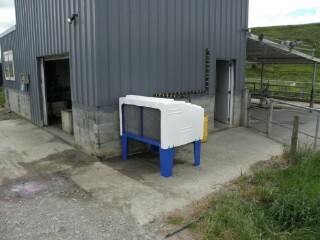 A new shed installation refrigerated by an Iconverter snap chilling providing 5-6’c milk into the vat from the cow. Installed and serviced by us. 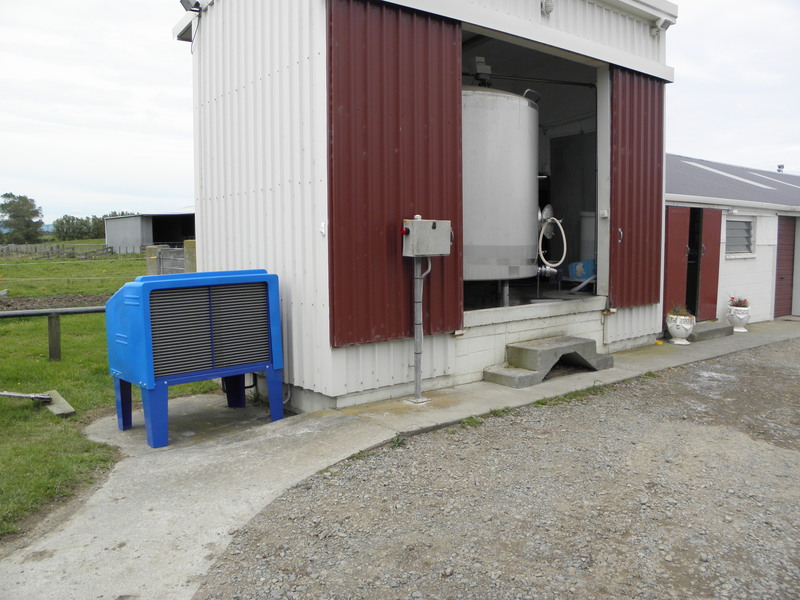 A refrigeration upgrade from a 3hp condensing unit to a 8hp HGZ100 (21Kw cooling capacity) allowing milk to achieve well below Fonterra standards of 7’c milk within three hours of milking.